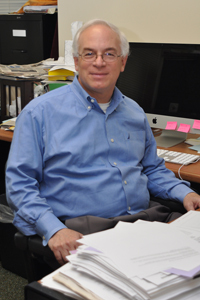 Robert S. Olick, JD, PhD, is Associate Professor Emeritus of Bioethics and Humanities. He earned his law degree at Duke University and his doctorate in philosophy and bioethics at Georgetown University and the Kennedy Institute of Ethics. Before joining the Center in 2001, he taught in the Colleges of Medicine and Law at the University of Iowa, and served as Executive Director of the New Jersey Bioethics Commission where he was involved in the crafting of public policy, reports and educational initiatives on a range of bioethical issues, in particular advance directives for health care, determination of death and decisions near the end of life, ethics committees and assisted reproductive technologies. Dr. Olick’s research interests include decisions near the end of life, medical futility, physician-assisted suicide, the physician-patient relationship, informed consent, adolescent decision making, the limits of confidentiality, genomic medicine, reprogenetics, genetic privacy and discrimination, and research with adults with intellectual disability. He is the author of Taking Advance Directives Seriously: Prospective Autonomy and Decisions Near the End of Life (Georgetown Univ. Press, 2001, 2004) and the co-author (with Robert Weir) of The Stored Tissue Issue: Biomedical Research, Ethics, and Law in the Era of Molecular Genetics (Oxford Univ. Press, 2004). Dr. Olick may be reached at olickr@upstate.edu. Olick RS. Taking Advance Directives Seriously: Prospective Autonomy and Decisions Near the End of Life. Washington, D.C.: Georgetown University Press, 2001, paperback edition, 2004. Weir R, Olick RS. The Stored Tissue Issue: Biomedical Research, Ethics, and Law in the Era of Genomic Medicine. New York: Oxford University Press, 2004. Kania T, Schafer M, Caruso Brown A, Olick RS, Lantos J. Should a Teenager Be Allowed to Leave the Hospital AMA to Attend His Father's Funeral? Pediatrics. 2018 May;141(5):1-5. McDonald KE, Conroy NE, Olick RS, Panel TP. What's the harm? Harms in research with adults with intellectual disability. American journal on intellectual and developmental disabilities. 2017 Jan;122(1):78-92. McDonald K, Conroy N, Olick RS. A quantitative study of attitudes toward the research participation of adults with intellectual disability: Do stakeholders agree?. Disability And Health Journal. 2018 Jul;11(3):345-350. Olick, RS. “Genetic Discrimination After GINA.” In: Gerard Quinn, Aisling de Paor and Peter Blanck(eds. ), Genetic Discrimination – Transatlantic Perspectives on the Case for a European Level Legal Response. Taylor & Francis, 2014. Olick RS. "In Re Karen Quilan (1976): Establishing a Patient's Right to Die in Dignity." In Paul L. Tractenberg (ed. ), Courting Justice: Ten New Jersey Cases That Shook the Nation. Rutgers University Press, 2013. Olick R.S. "On the Scope and Limits of Advance Directives and Prospective Autonomy." In: Lack P., Biller-Andorno N., Brauer S. (eds. ), Advance Directives. International Library of Ethics, Law, and the New Medicine. vol. 54. Springer, Dordrecht. Olick RS, Defining Features of Advance Directives in Law and Clinical Practice. Chest. 2012 Jan.; 141(1):232-238. Olick RS, Potash J, Braun E. Accommodating Religious and Moral Objections to Neurological Death. Journal of Clinical Ethics. 2009 Summer:185-191. Olick RS, Rationing the Flu Vaccine. Journal of Public Health Management and Practice.2005 July-Aug.; 11(4):373-374. Olick RS, Carcinogenic Plumes and Aerophobia: Ethical Tensions in the Public Smoking Debate. Journal of Public Health Management and Practice. 2004 Nov.-Dec.; 10(6):573-74. Olick RS. Ethics, epidemics, and the duty to treat. J Public Health Manag Pract. 2004 Jul-Aug; 10(4):366-7. Olick RS, Bergus GR. Malpractice liability for informal consultations. Fam Med. 2003 Jul-Aug;35(7):476-81. Olick RS. It's ethical, but is it legal? Teaching ethics and law in the medical school curriculum. Anat Rec. 2001 Feb;265(1):5-9. Olick RS. Disclosing genetic information to family members. Do old paradigms fit the new medicine? N J Med. 2000 Jan;97(1):43-6. Olick RS. "Ethics consultation and the law: what's the standard of care?". In: Rubin SB, Zoloth L (eds. ), Margin of Error: The Ethics of Mistakes in the Practice of Medicine. Hagerstown, MD: University Publishing Group, 2000. Olick RS. "Genes in the workplace: new frontiers for ADA law, policy and research." In: Blanck PD (ed. ), Employment, Disability, and the Americans With Disabilities Act: Issues in Law, Public Policy and Research. Evanston, IL: Northwestern University Press, 2000. Olick RS, Kimura R, Kielstein JT, Hayashi H, Riedel M, Siegler M. Advance care planning and the ALS patient: A cross cultural perspective on advance directives. Jahrbuch für Recht und Ethik [Annual Review of Law and Ethics]. 1996;4:529-52. Olick RS. Brain death, religious freedom, and public policy: New Jersey's landmark legislative initiative. Kennedy Inst Ethics J. 1991 Dec;1(4):275-92.